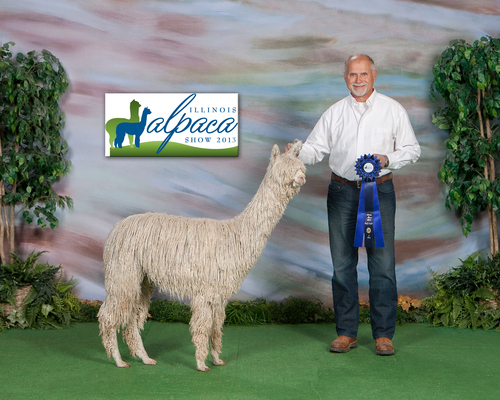 If you are interested in genetics, take note of Mucha Bella: Accoyo’s Ramilo, Lafite, Baron, Luna and esteemed HHSF Itala, grand dam whose offspring won many championships. Please note Mucha Bella was sired by our late, great Baron LAFITE, two time Herdsire of The Year, Futurity, and Marbella, a Ramilo daughter. Mucha Bella, is full of density, fineness and luster , with an impressive show record. This is one of the last opportunities for the savvy buyer to take advantage of obtaining these extraordinary bloodlines that can no longer be duplicated. Jeremiah is Headed to the West Coast! 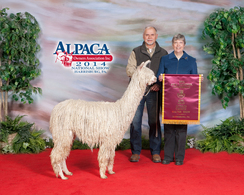 We are pleased to announce that Sue King of Big Timber Alpacas, LLC has purchased half-interest in Jeremiah and he will be available for breedings on the west coast later this summer. We are excited to partner with Sue and happy to give Oregon, Washington and California breeders an opportunity to breed to one of the best white Suris in the country! 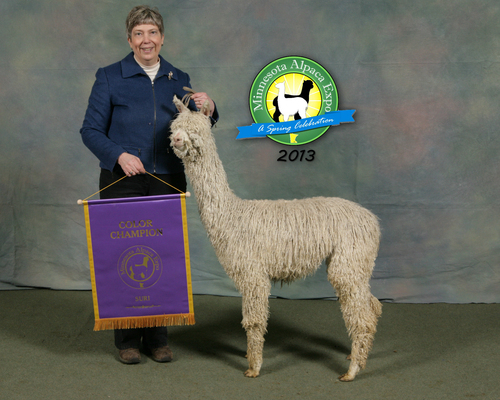 As a juvi in the spring of 2013, Jeremiah competed in 6 shows and won 6 first place ribbons, one Reserve Championship and two Championships in very competitive classes! 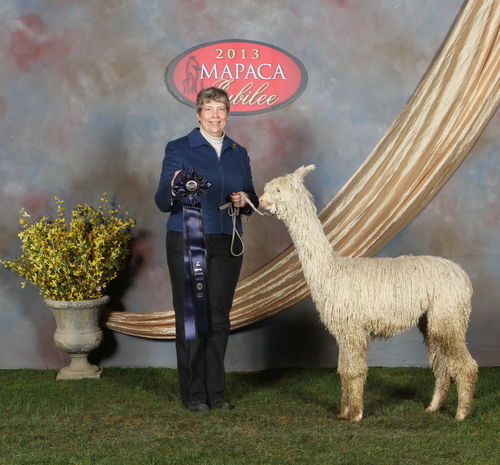 As a yearling in the fall of 2013, his streak continued with another 1st place at the Illinois Alpaca Show. 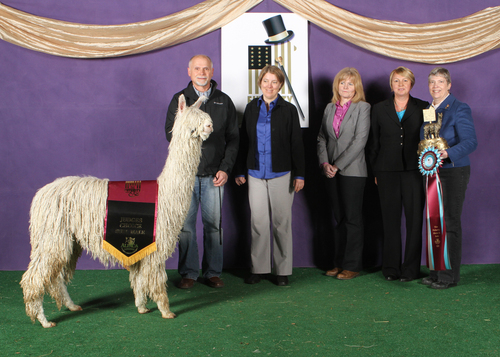 The 2014 show season began with a Reserve Championship at the Southern Select show and a Championship and Judges Choice for the top Suri male at the AOA National Show in Harrisburg, PA. He went on to win first and the Championship at the MOPACA show in Kansas City. Next stop was the Futurity. Once again he impressed the judges and earned another championship and Judges Choice. 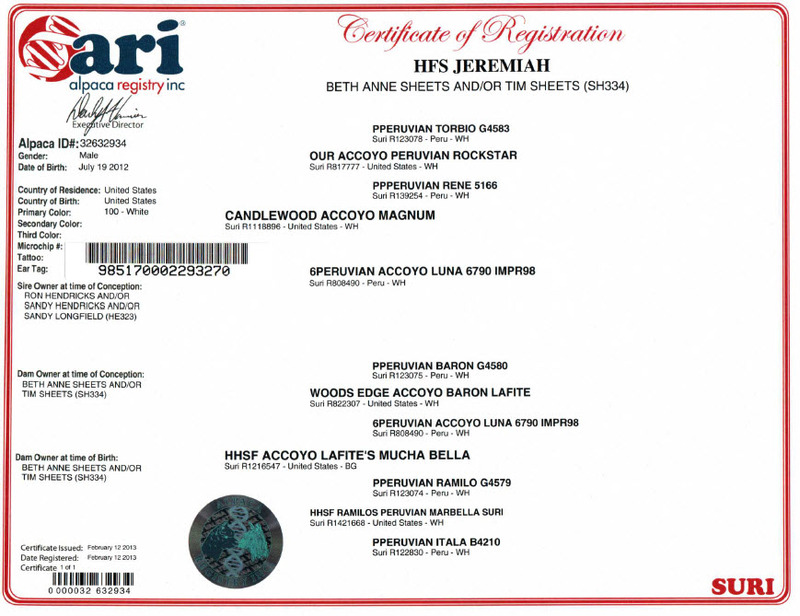 Jeremiah is one of those males that is living up to his potential. His frame exhibits perfect balance and a suri style that is true to type. He is large boned with a very straight topline. 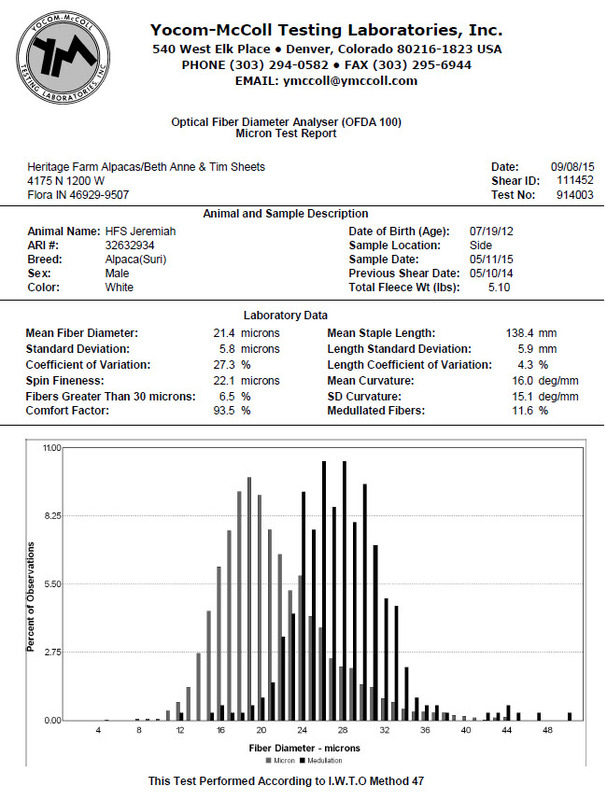 But his fiber is his greatest asset. Jeremiah's wave and twist lock style equates to density, fineness and luster. His follicles are tightly-packed clusters that "shingle" over each other in that classic wave and twist style. 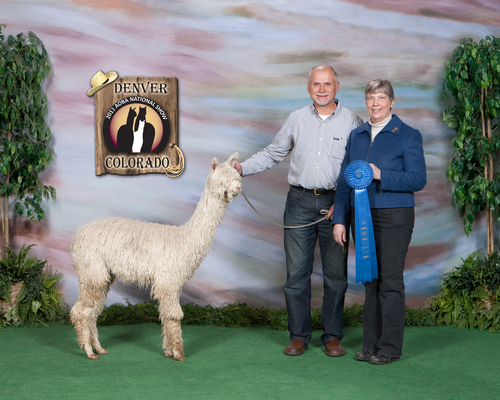 He catches the attention of the judges as soon as he walks into the show ring and he doesn't disappoint when they open his fleece. He has strong genetics with Rockstar and Torbio on his sire's side and Ramillo and Baron on his dam's. In the show ring, he has gone up against some fantastic males and has come out on top consistently. 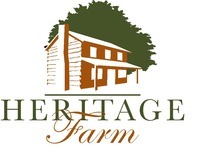 Jeremiah began breeding in the spring of 2015. His first crias hit the ground in 2016 and they are looking really nice!